Central Wyoming fly fishing is still impressive. 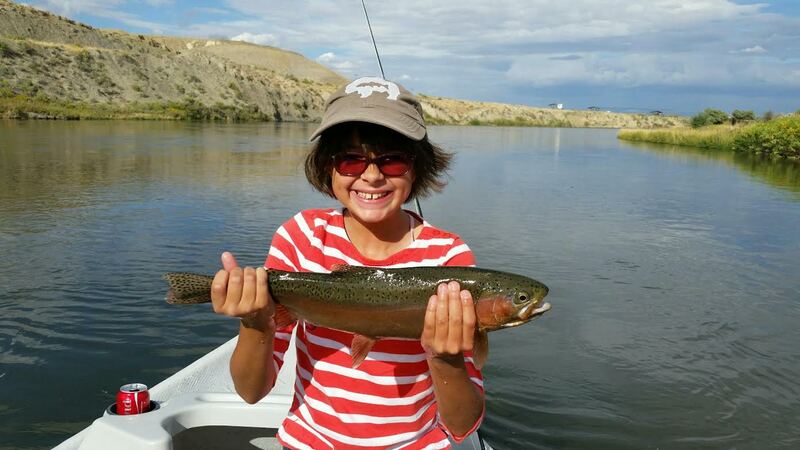 The guides report excellent fishing at Miracle Mile, Fremont Canyon and Grey Reef. Grey Reef numbers can’t be beat and the average size is reminiscent of 15 years ago. Miracle Mile fly fishing report is also very good with not the numbers but the size has been really impressive…although the trophy class fish will be most often found in the upper 8 miles of Grey Reef. Fremont Canyon is also producing and the dry fly has been solid. Grey Reef Fishing Report: Flows are down to 1300cfs this AM water is clear and temps are cool until you get into Casper. Expect a drop and we may be down to 500cfs winter flows before we know it. Excellent nymphing with caddis and midge options. Leeches and scuds also productive. Grey Reef streamer fishing has really picked up steam and you should have a streamer rod rigged and ready. Grey Reef dry fly fishing is great with pods slurping trico spinners in the AM and really good caddis in the PM. Miracle Mile fly fishing report: Flows are at 1000cfs and clear and cool. Nymphing with small bug/caddis rigs the most productive. Miracle Mile streamer fishing has been pretty good as well. Fremont Canyon fly fishing report: flows are 75cfs and very clear and cool. Dry/dropper rigs in the rock gardens and streamers throughout. For numbers stick with a light nymph rig and caddis emergers and midges. We had a pretty exciting day on Sunday. The lodge was very close to being consumed by a human caused grass fire. The Alcova community and NaCo and BLM fire crews as well as the sheriff’s dept saved the facility likely. Pretty cool when tractors, road graders, water tanks just kind of pop out of the hills with neighbors who are a tenacious bunch. Big thanks to all who lent a hand! !